In 2012, LBI worked with Internet Archive, an online library and LBI’s primary digitization partner, to digitize the issues ofAufbau published between 1951 and 2004. This project, partially funded by the Metropolitan New York Library Council, put the entirety of the Aufbau online for the first time, since the German National Libray (DNB), had previously digitized the volumes of Aufbau published from 1934 – 1950 as part of its Exilpresse Digital project. However, in June 2012, the DNB closed online access to the Aufbau along with other German journals published in exile and many Jewish periodicals published in Germany during the Nazi Regime, citing legal concerns. In order to ensure that this critical resource remains available to researchers, the Library of the Leo Baeck Institute digitized the early years of the Aufbau in 2013. 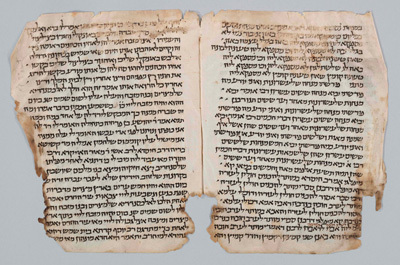 JM Jüdische Medien, the Swiss Publishing company that owns the rights to the Aufbau, has granted its approval for the digitization, and funding was once again provided by the Metropolitan New York Library Council. This entry was posted in Uncategorized and tagged digital, Full-text, Germany, newspapers, Primary Sources on June 6, 2013 by Michelle. This entry was posted in Uncategorized and tagged crowdsourcing, digital, newspapers, Primary Sources, Yiddish on March 11, 2013 by Michelle. "Herut", the daily newspaper of the main opposition party during the first years of the State of Israel. The newspaper was published in Tel-Aviv between 1948 and 1965. The JPRESS website now offers the issues between 1949 and September 1954. "Ḥerut was the daily newspaper that served the Herut movement, a political party founded on 15 May 1948, the day after the establishment of the State of Israel. As the political successor to the underground paramilitary organisation ha-Irgun ha-Tsvaʾi ha-Leʾumi (‘the National Military Organisation’, known as ETSeL, or the Irgun), the name of the paper signaled a likewise continuation of ETSeL’s mouthpiece, Ḥerut, which had appeared for six years, from March 1942 through May 1948, when the ETSeL was disbanded and the Ḥerut political party was established. The inaugural issue of this daily appeared on 3 October 1948, and its publication was one of a series of steps taken to consolidate the party and its support base in the Israeli population well ahead of the first parliamentary elections that were to take place in the nascent state: at the end of January 1949. The primary reason for Ḥerut’s publication was the desire of Menaḥem Begin (1913–1992), the leader of the party, to create an organ for his movement that would express its unique spirit. An additional reason was the need of a public form that could serve Herut's hitherto largely anonymous members who had lived underground for many years. Beneath the masthead of the newspaper appeared four slogans that expressed the chief stated principles of the movement: ‘for the territorial integrity of the homeland, for the ingathering of exiles, for social justice, for freedom of man’." This newspaper is a valuable resource for people studying the early politics of the State during its first years of existence. This entry was posted in Uncategorized and tagged digital, Full-text, Israel, newspapers, Primary Sources on May 29, 2012 by Michelle. I wrote last year about the incredible resource that is the Historical Jewish Press. In a further effort to make Jewish newspapers available freely online, the HJP has now digitized its first Yiddish paper,Haynt. Haynt was a seminal Jewish newspaper in Eastern Europe from 1908-1939, and is a critical resource for day to day news about the Jews of that time and place. This entry was posted in Uncategorized and tagged digital, Eastern_Europe, Full-text, newspapers, Primary Sources, Yiddish on March 1, 2012 by Michelle. Thanks to many and various funders, the Jewish Telegraph Agency has been able to post its archives online in a fully searchable (by keyword, date, and topic) website. 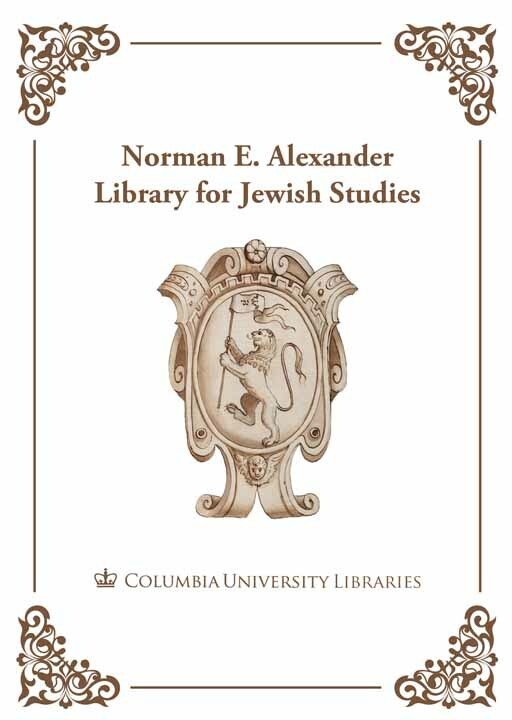 A premier resource for "news about the Jews," the JTA reported news worldwide, and was (and is) cited by many other newspapers throughout its time. Major topics include both World Wars, the building up and reporting on the Holocaust, the state of Israel, and many, many other events. The site notes that (as with all first response reporting), "it is possible that some of the facts in these articles were proven erroneous when more deliberate research became possible." The information in the site, therefore, should be read as the first impression toward various events affecting Jews that took place throughout the 20th (and now 21st century). This entry was posted in Uncategorized and tagged digital, Full-text, newspapers, Primary Sources on May 10, 2011 by Michelle. In studying historical events, one of the most interesting primary sources (aside from manuscripts from those involved) is newspapers from the time detailing this event. Often fatalistic or extreme (as newspapers can tend to be), these articles can give the researcher a good idea of how the general public reacted to an event, and can be quite informative. One of the problems with doing research from newspapers, however, is their lack of availability and searchability. The Historical Jewish Press Project at Tel Aviv University, however, has made doing this sort of research much easier. With a fully searchable site, they have linked to digitized newspapers from around the world (see a full list of the collections here). They also include links to sites that have digitized Jewish newspapers not included on their site. This entry was posted in Primary Sources and tagged digital, newspapers, Primary Sources on January 20, 2011 by Michelle.